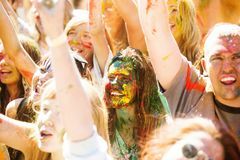 Young, decorated people participate in the Holi festival of colors in Vladivostok. 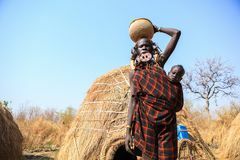 Courage, phagwah. 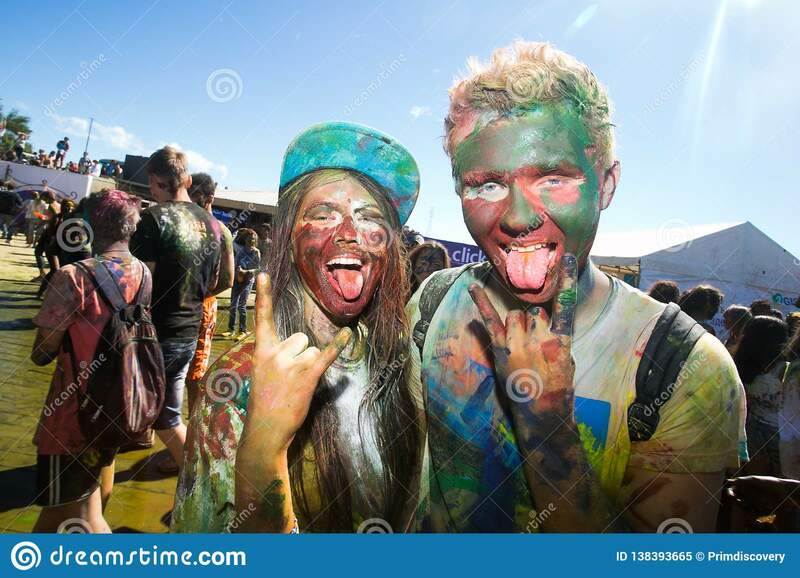 August, 2013 - Young, decorated people participate in the Holi festival of colors in Vladivostok. 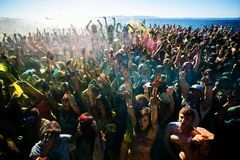 Holi, also known as Phagwah and the Paint Festival, is an annual Hindu festival of spring. 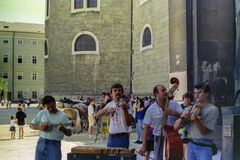 The annual festival of colors ColorFest The annual festival of colors ColorFest Panoramic view of old Montreal with Bonsecours Market - Canada Young, decorated people participate in the Holi festival of colors in Vladivostok. 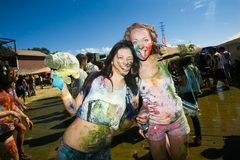 Young, decorated people participate in the Holi festival of colors in Vladivostok. 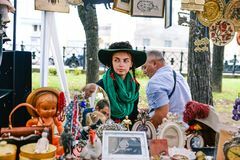 Russia, city Moscow - September 6, 2014: Young beautiful girl in a hat with paly and green scarf. 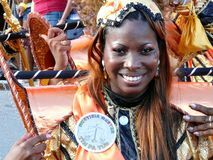 A woman sells antiques in a Festively decorated houses, Viareggio carnival, Tuscany, Italy Old man & young boy looking same way Christmass wheel on Christmass market in European city Mursi tribe lady carrying her baby Children of class 4 decorated the classroom door with drawings, Kathmandu, Nepal Female feet wearing sneakers standing in front of typical decorated Manhole of Kobe City, Japan SALZBURG, AUSTRIA, 1988 - Street musicians entertain tourists in the main square of Salzburg Beautiful smiling face of the carnival dancer on Curacao. 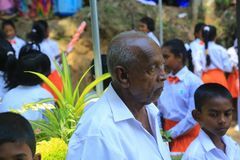 February 3, 2008. Young, decorated people participate in the Holi festival of colors in Vladivostok. 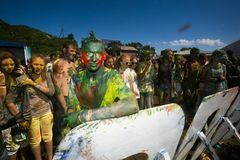 Young, decorated people participate in the Holi festival of colors in Vladivostok. 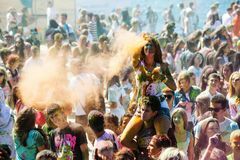 Young, decorated people participate in the Holi festival of colors in Vladivostok. 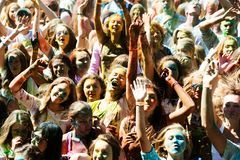 Young, decorated people participate in the Holi festival of colors in Vladivostok. 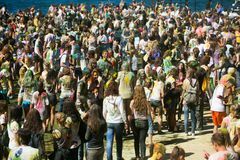 Young, decorated people participate in the Holi festival of colors in Vladivostok. 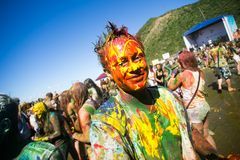 Young, decorated people participate in the Holi festival of colors in Vladivostok. 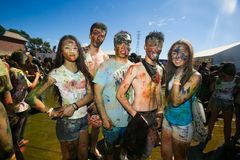 Young, decorated people participate in the Holi festival of colors in Vladivostok. 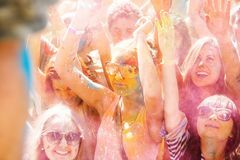 Young, decorated people participate in the Holi festival of colors in Vladivostok. 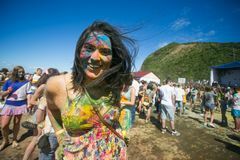 Young, decorated people participate in the Holi festival of colors in Vladivostok. 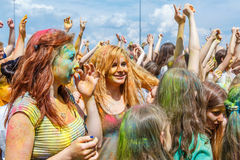 Young, decorated people participate in the Holi festival of colors in Vladivostok.Young, decorated people participate in the Holi festival of colors in Vladivostok.